For most of us, it would be hard to imagine life without teeth. From eating, to talking, to smiling, teeth are responsible for many functions that we take for granted on a day to day basis. However, not everyone makes it through his or her entire life with all of the natural teeth that they had during youth. Periodontal disease, accidents and injury, and the natural aging process are all responsible for tooth loss. Thankfully there are different ways in which teeth can be replaced with alternative teeth in order to continue enjoying the needed and wanted functions of the mouth. At Gold Hill Dentistry, we offer our patients the ability to transform their mouths with tooth replacement options. Dental bridges: A bridge is used to span the space where one or more teeth are missing. Bridges are cemented to the natural teeth or implants surrounding the empty space. Bridges are made of strong, durable materials and are color matched so that they blend in with the natural teeth. Dentures: Dentures are an option for those who are missing several teeth or all of their teeth. Dentures allow patients to have the ability to eat, speak, and to smile with confidence. We offer partial and full dentures for patients, and we can also combine dentures with implants to give patients an effective and aesthetically beautiful smile. 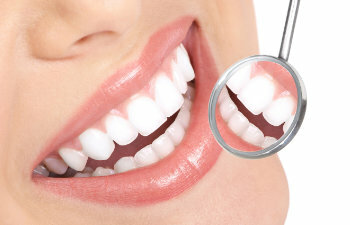 Dental Implants: Dental implants are replacement teeth that look and function like natural teeth. They are a worthwhile investment and offer a permanent solution for patients with one or more missing teeth. Dental implants are done by carefully inserting prosthetic anchors into the jawbone. At Gold Hill Dentistry, the health of your smile is our number one priority. Missing teeth can cause major oral issues, but most of them can be prevented or corrected with our tooth replacement options. Please call our office today to schedule an appointment to determine which option is best for you. We look forward to partnering with you to help you achieve the smile you deserve.